Volunteer Job Description: Volunteer tutors assist professional instructors in the English Acquisition Program classrooms at Emily Griffith Technical College. 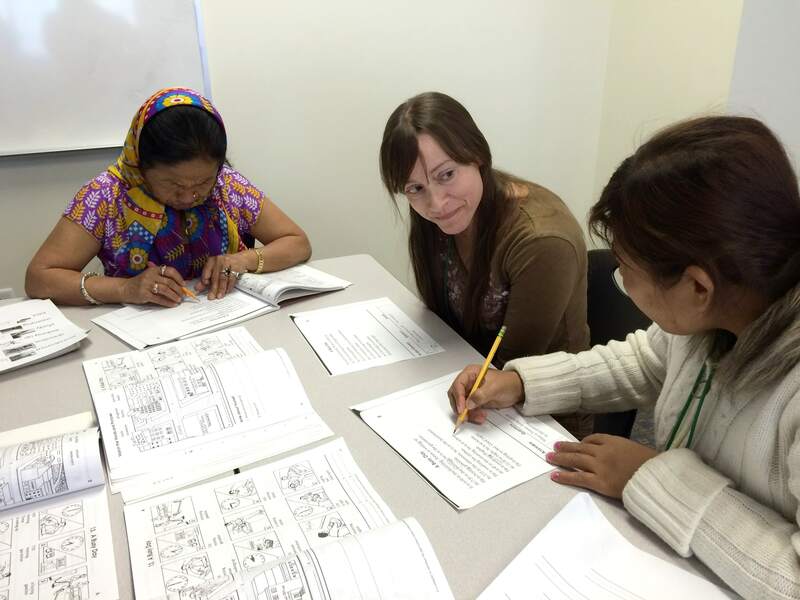 Volunteers support adult refugees and immigrants who are learning the English language skills necessary for living and working in our community. Tutors assist the classroom instructor by working one-on-one with individuals or small groups of students, or by working side-by-side with the teacher. Please note that volunteers do not teach classes at EGTC–they provide much-needed assistance to the students and teachers in the English programs at the school. We do not offer practicum placements for those completing TEFL certification programs.